J. Christopher Collins ("Chris") joined Mirick O'Connell in October 2015 as a member of the Life, Health, Disability and ERISA Litigation Group. Chris is known both locally and nationally for his extensive experience in litigating first party bad faith matters and insurance cases governed by ERISA. He has managed numerous class action matters involving Securities, 401(k), False Claim Act, Retained Asset Accounts, and many dealings with insurance and ERISA-related issues. Prior to joining the Firm, Chris was Senior Vice President and General Counsel at Unum US, the largest provider of group and individual disability insurance in the U.S. and a fast-growing voluntary insurance business with over $6B in annual revenue. In that role, he provided counsel and managed all of the legal resources serving Unum's largest business sector. 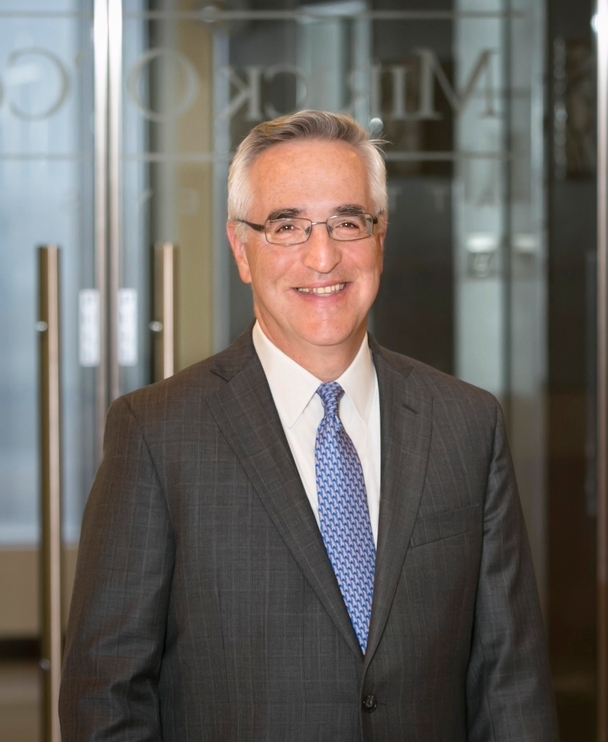 During his tenure at the company, he helped to lead the legal department through both acquisitions and mergers and was a key participant in working to solve significant regulatory challenges facing the company in the early 2000's. Chris' practice focuses on life and health insurance matters with a concentration on disability income insurance and will assist the Firm in client development both locally and nationally. He will also continue to serve the community in a broad array of philanthropic activities. Chris is very active in the Worcester community, having served on numerous boards for non-profit entities, including the Worcester Regional Chamber of Commerce, Greater Worcester Community Foundation and Worcester Regional Research Bureau; he also currently serves as Chair of the Nativity School of Worcester and is a Council member of the American Antiquarian Society. As lead executive on the Unum Worcester campus, he was the company liaison for many issues concerning the company and the City of Worcester, including the development of the new Unum building at City Square. Throughout his career, Chris has been a frequent speaker and panelist at numerous industry conferences. In 2013, he was the keynote speaker at the Definitive Disability Conference ("DDC"). In addition, he has participated at forums and events sponsored by the Worcester Regional Research Bureau, the Chamber of Commerce, and the City of Worcester.